YoWorld Forums • View topic - [CONTEST] ENTER - YoWorld Presents: the 2018 Yoscar Awards! [CONTEST] ENTER - YoWorld Presents: the 2018 Yoscar Awards! Yoscars season is once again upon us! Our 3rd annual Yoscar Awards are here to celebrate excellence in Yo filmmaking. This prestigious award is the highest honor that can be bestowed on Yo motion picture makers, and recognizes its recipients as masters of their craft. Good luck, Yo filmmakers! If you have questions or anything you'd like to discuss, please click here. ♡Description: Want to know where to go to hear live jazz in an intimate theatre-style space with a fine meal and a drink on YoWorld? 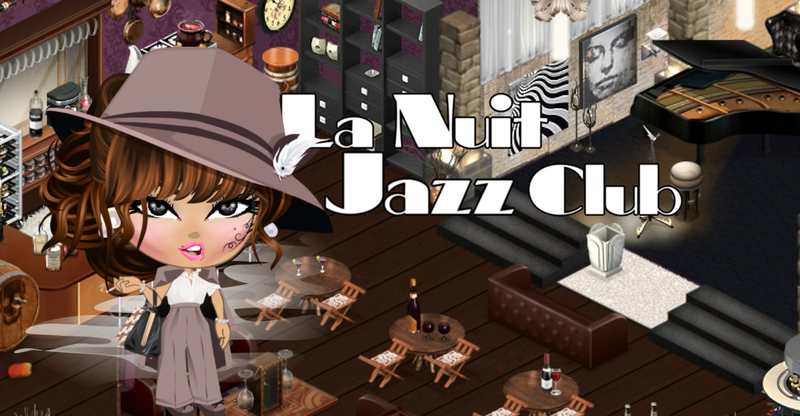 Look no further than "Le Club de Jazz" in The Kingdom of La Nuit! The following entry is a brief commercial that advertises this lively venue! Last edited by Queen SaraLaNuit (165980779) on Tue Feb 13, 2018 12:35 pm, edited 1 time in total. Description: This Year, YoVille (YoWorld) Turns 10, and for this year on Yoscars 2018 i would love to show how much we appreciate the awesome game we love playing today, we almost lost YoVille back in 2014 but thanks to the fans and BVG we are still here today! Hurt depicts the struggle of losing a loved one, or more accurately; losing a part of oneself. Though it may be easiest to end the pain, everyone has a plan - and that plan is to continue life for those who are gone, and those who are not yet here; to make the best out of life, in spite of the pain you may experience. A fun take on a YoWorld version of Castle on the Hill, the music video. This is a tiny video of Boruto characters in YoWorld created by me and my friend, Tiegan Brown (TigerRA Tripz), for entertainment purposes, and for Yoscar 2018 competition of YoWorld game. Description: The YoWorld Police Department return for the 2018 Yoscars with this musical extravaganza, however, will they survive The Flood? Last edited by Officer Saxon (185898670) on Mon Feb 12, 2018 12:25 pm, edited 3 times in total. This is a YoWorld Music Video for the song 'How Much is thatDoggie in the Window?' and is dedicated to the new Corgi Begging For Love decor item. Last edited by Tania Yed (124544118) on Thu Feb 08, 2018 8:44 am, edited 2 times in total. Description: Celebration of love and friendship. In this recreated scene from Captain America: The First Avenger, Steve Rogers takes over Red Skull's bomb laden plane. Unfortunately, the plane is in trouble - many of the engines were out and the main power supply was missing. Psalms 53 :1"The fool hath said in his heart, 'There is no God.' Corrupt are they, and have done abominable iniquity: there is none that doeth good." SHORT DESCRIPTION OF WORK - In which the talented and successful lip-syncers Brandon, Heartless, Tay z and Wild (ft. Heids) perform Finesse remix by Bruno Mars, ft. Cardi B! IG: the 2 ft Tall Green Alien who likes Beer; AKA: Halloween Monster! ♡ Description: Season One; Starts with Jo Jo & John being abducted by mistake by an Alien Ship. Starting the adventures of Jo Jo & Johns traveling around YoWorld looking for the little green alien IG. Stay tune for Next years Yoscar awards and Season Two of 5o Shades of Jo Jo: find out what trials and tribulations the dynamic two get themselves into, in and around YoWorld: Stay Tuned ----- Yoscar Awares; YoWorld Game -----Same YoChannel; Same YoTime; YoWorld's Yoscar Award. Wishing all YoWorld, Creators, Workers, Gamers and Fans: A Very Happy YoValentine & An Awesome Year of the OWN THE DAY! Last edited by Jo Jo (150826557) on Sun Feb 11, 2018 5:57 pm, edited 1 time in total. I present you the !FIRST EVER! News Show of YoWorld with Live Commentary and realistic sets! ^_^ I assure you that watching this video will be something you've never experienced before. I've used only a single YoAvatar (that is mine, of course) for all the characters that you'll come across in this video. Please note that this video was made last year. Therefore, all the stories featured in this news-segment are quite old. Hope y'all will like my entry! 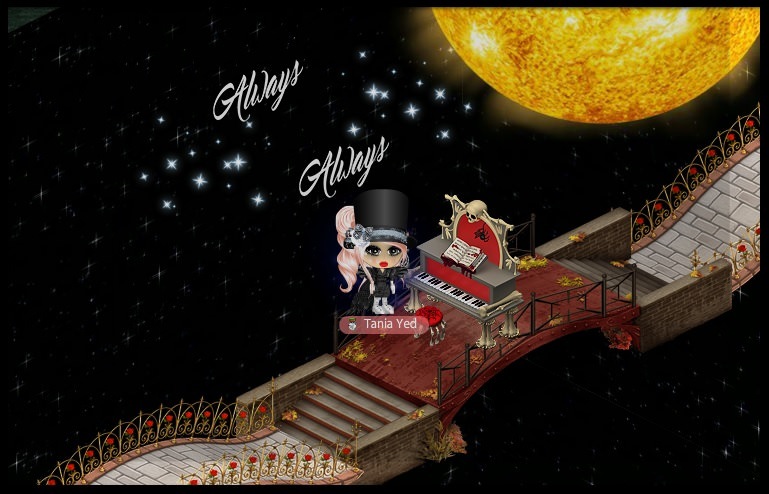 The Nutcracker or better the YO-Nutcracker, is a mix of great classic music (Tchaikovsky The Nutcracker march), mixed with the beautiful items that we can find in our beloved Yoworld and the nice dance actions. I hope that You all enjoy it. Thank you for watching it. Description: Celebrating the 30th Anniversary, I dedicate this year to be working on the movie of Phantom of the Opera. I can’t thank my royal family enough to help me with acting in the video’s! All the soundtrack comes from the movies and all the homes are my own design. I love Broadway theater and hope you enjoy the Showreel and the Full Video. The Showreel shows The Trailer and the full video features Act 1 Scenes 2 through 4 of The Phantom of the Opera. Please follow “Aubrie La Nuit” on YouTube for more Phantom of the Opera Updates.